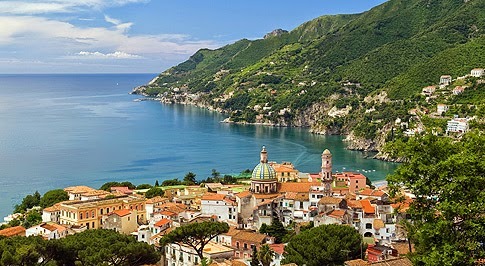 The coast is 40 km long from Salerno to Positano and you can reach it by car or by bus from Naples, Sorrento or Salerno. 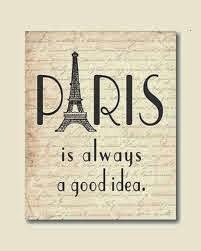 If you decide to take the car or to reach it by bus, though, you ought to be careful to the traffic: during Summer or during Spring break you'll find a lot of traffic and it'll take you a lot of time to reach your destination. This is due to the fact that there is only a way to reach the coast from the big cities mentioned above and the street is particularly narrow and full of curves. So, pay attention! As an alternative, you can take the ferry-boat or the hydrofoil (the so called "Metrò del Mare") from Salerno which are faster and frequent during Summer. It can be considered the "Queen" of this part of Italy, as it gives its name to the entire Coast. It enjoys a beautiful and panoramic position because it is nestled between the sea and the mountain so when you'll arrive there, you'll be open-mouthed. You can't miss a visit to the magnificent cathedral, in the main square. It was built in a Romanesque-Gothic style, its facade is covered with gold leaf so that if there's the sun it shines a lot. You have to climb a lot of steps but once up you'll be rewarded by the beauty of this place. Then, it's very pleasant to have a walk in its tiny-streets full of typical shops, restaurants and bars. 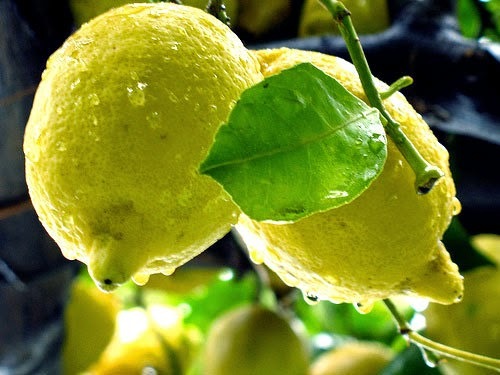 Try a lemon water ice or ice cream: they are made with the famous Amalfi lemons which are so tasty! If you are hungry, I advice you to take a typical paper cone full of fried fish: there are some small shops which sell them directly on the street. 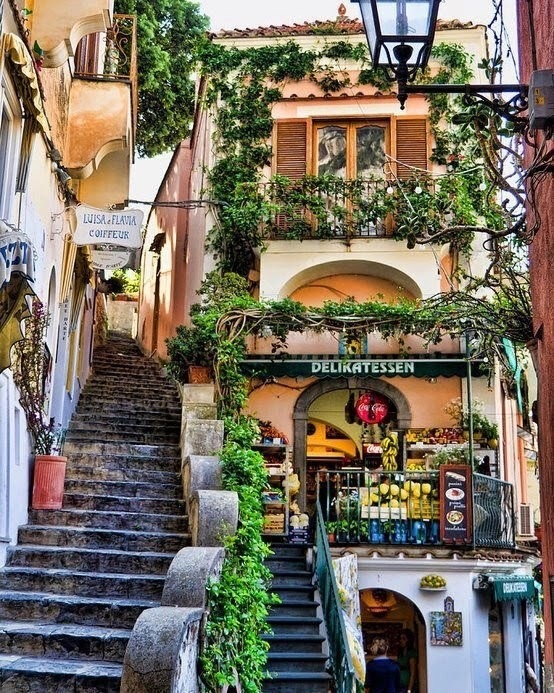 It is another important place on the Amalfi Coast, well known for its fashion. It's so picturesque with its little and coloured houses perched on the hill! 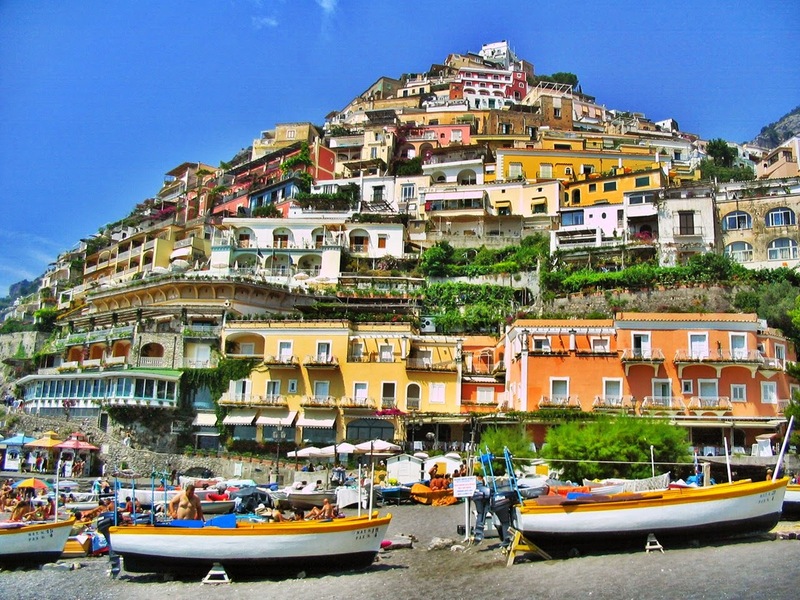 Positano has been a holiday resort since the time of the Roman Empire; here you can admire a Roman "villa". It is also unique and famous for its many staircases which start from the top of the village and reach the beach. The main beaches are "Spiaggia Grande" and "Fornillo" and you can easily reach them by foot. It is situated on a high cliff and from there you can enjoy a beautiful view on the Salernitan gulf and the Tyrrhenian Sea. 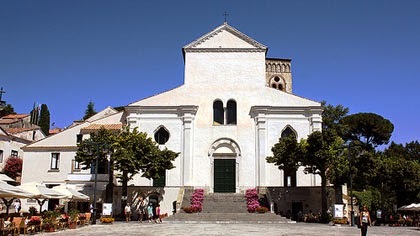 It is a famous tourist center and it is well known for its international music festival, the "Ravello Festival" which takes place here every year from August to September. 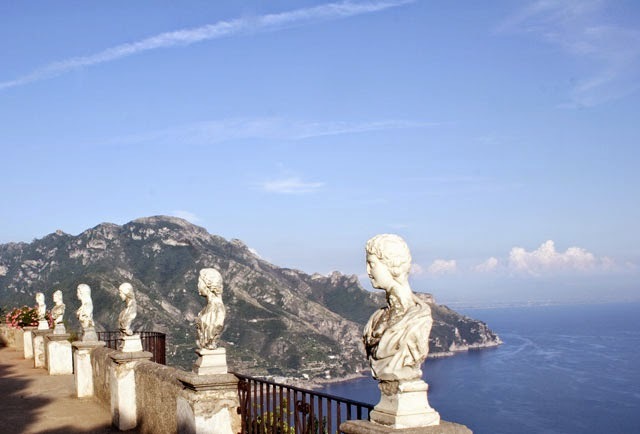 Ravello is full of important and historical buildings, churches and villas; among them the most famous and enchanting is Villa Cimbrone. 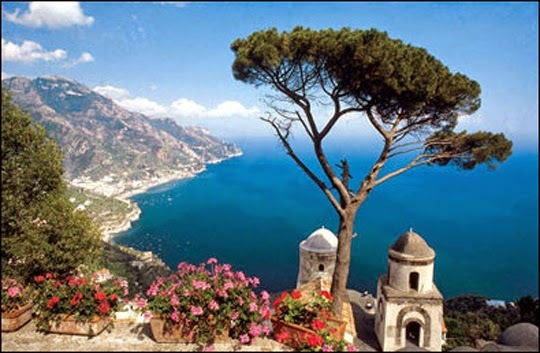 In 1997 UNESCO declared Ravello part of the World Heritage (as for the other towns of the Amalfi Coast). 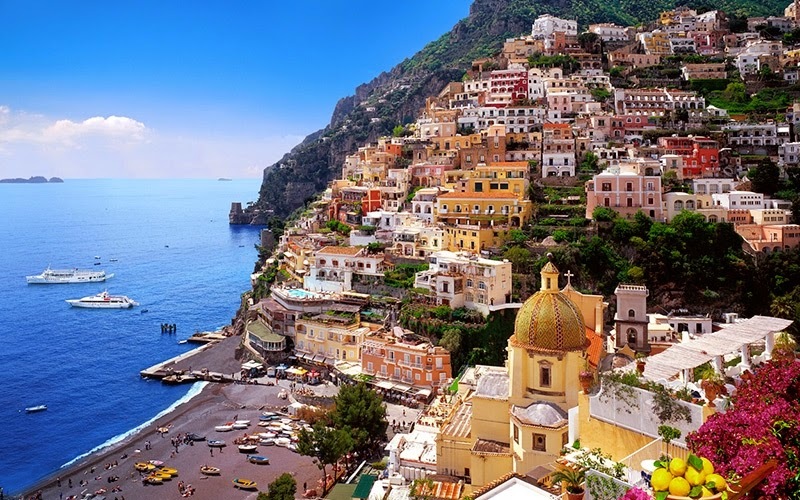 It is the first or last town (it depends if you start from Salerno or Sorrento) on the Amalfi Coast; its inhabitants like to call it "The Pearl of the Amalfi" because they claim that the Amalfi Coast begins here. 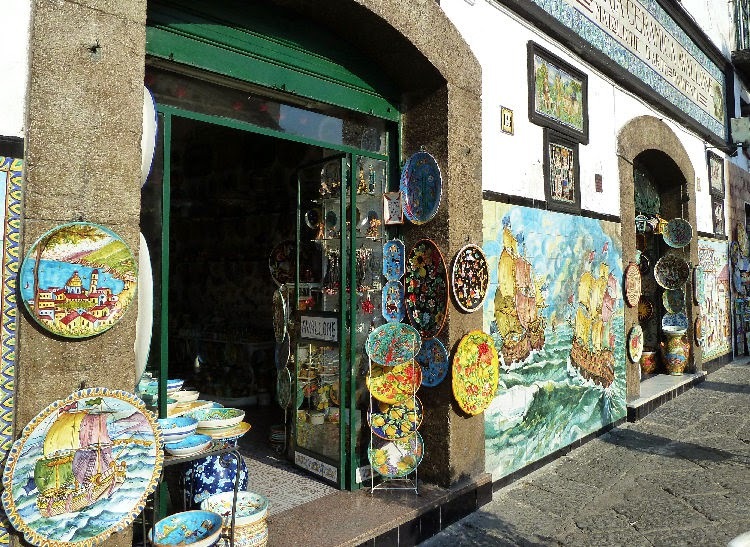 It is famous for its pottery: if you have a walk in its tiny little streets you have the possibility to admire it and buy this typical and coloured objects. You'll find dishes, vases, flowerpots etc. 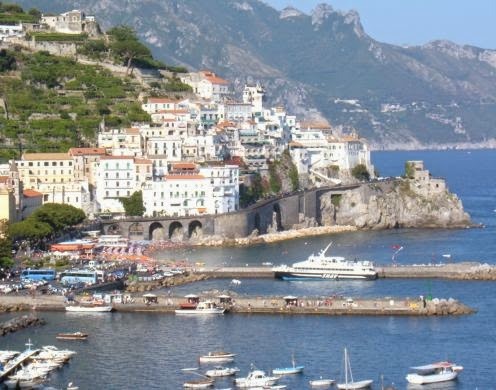 in every restaurant and hotel in the Amalfi coast: they find their origin here! You can't leave the Amafi Coast without tasting its lemons. 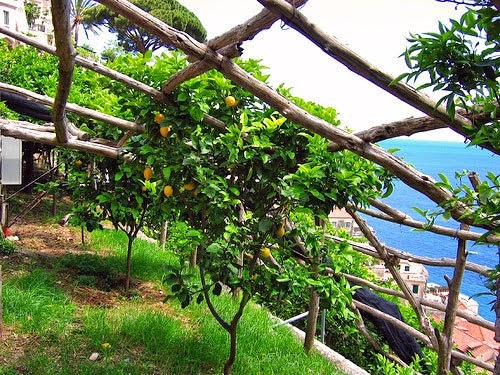 The entire region is famous worldwide because it has splendid terraced gardens where lemons are cultivated. They are very big and have such a sweet taste that you can eat them sliced as a dessert. You should taste the typical Amalfi "limoncello", a liquor made with these beautiful lemons and lemon ice cream. Che tipo di auto vuole – con cambio manuale o automatico? What type of car do you want – manual or automatic? La macchina ha l’aria condizionata? Has this car got air conditioning? Posso vedere la sua patente? Va a benzina o a diesel? Does it take petrol or diesel? Dove sono le luci/le frecce/i tergicristalli? Where are the lights/indicators/windscreen wipers? Come si apre il serbatoio? How do you open the petrol tank? So ... are you ready? 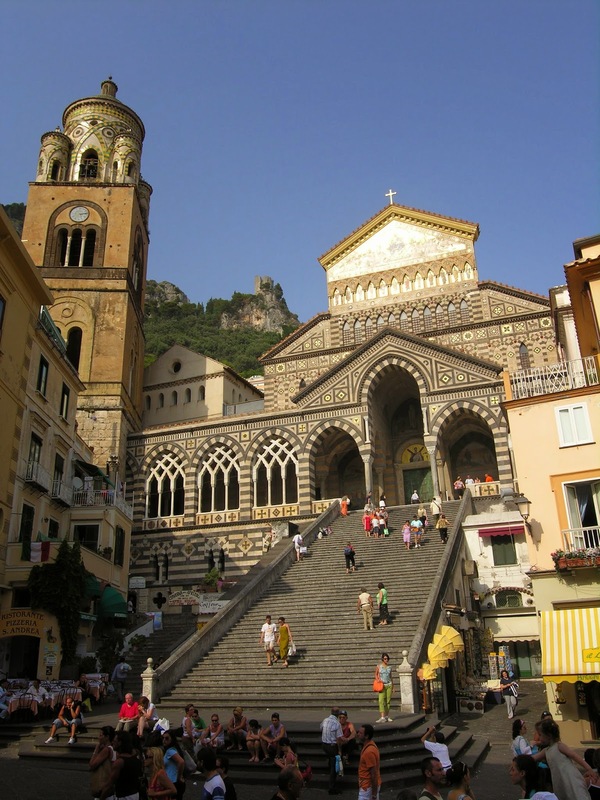 The Amalfi Coast is a very good location where to spend the Easter holidays. 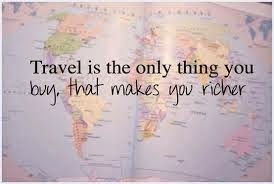 All you have to do is to pack your suitcases and leave!